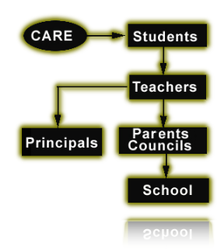 CARE was established in 1989, through the initiative of educationalists and intellectuals. The foundation’s legal status being based on the Israeli legislation ( Reg. No. 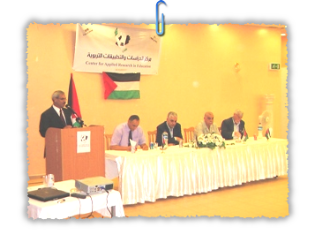 511 59343-6) and later on ( 7-25/106) the Palestinian legislation and International Conventions. It is a nonprofit, voluntary institution whose objective is to initiate and promote activities that lead to the development of democracy, civic society, culture, and a more human world. Our means to promote the realization of human rights and mutual understanding are, among others,workshops, round tables or seminars, and exhibitions organized in cooperation with local or international institutions and the school adminstrative bodies. The training workshops offer training in teaching methodologies on how to introduce the issue of human rights and democracy concepts into primary and secondary classes.